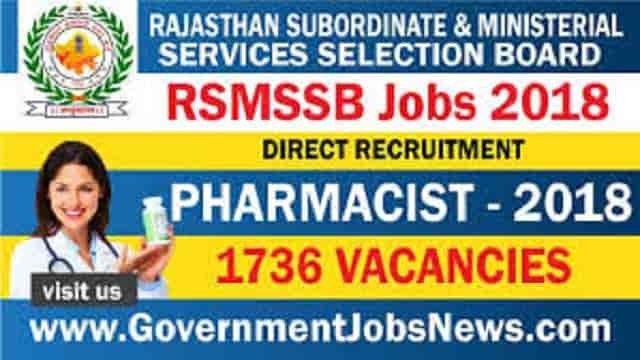 Rajasthan Subordinate & Ministerial Services Selection Board RSMSSB, Jaipur invites application for the Direct Recruitment Of Pharmacist 1736 post. Interested candidates read the notification and check all the eligibility criteria for Direct Recruitment Of Pharmacist 2018 and can apply at the official website. All the details are given below. applicant must know to possess a working knowledge of Hindi written Devnagri script. The salary for Pre Primary Teacher is based as per 7th CPC Pay matrix and other benefits.